Lecture sketches from this talk on spirituality, rebellion, and the Zapatistas in Chiapas, Mexico. Image of lanterns, Obon Festival, Fowler, CA. 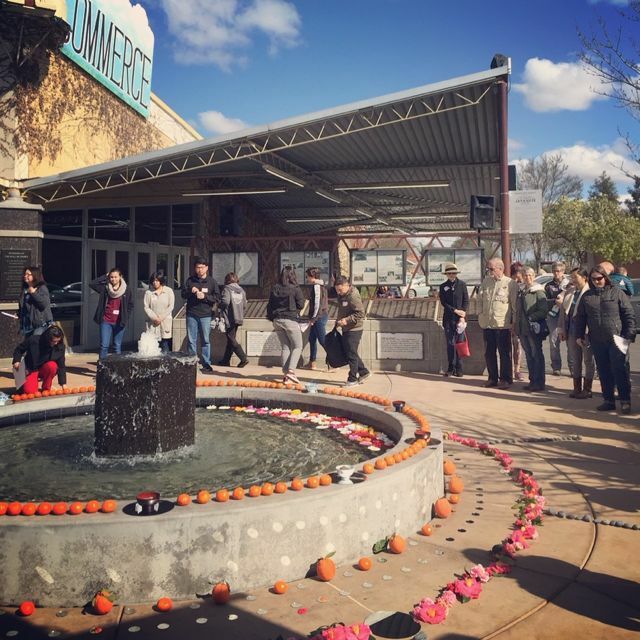 YMP's Day of Remembrance community mandala-making event at the Fresno Fairgrounds memorial. More on YMP's work in the Pacific Citizen.